In 2007, Doctor Who fans were gifted with the finest Master to grace the screen since Roger Delgado. He was suave, he was eloquent, he was angry and malicious, he was…well, he was British, which probably helped. Unfortunately he lasted only a minute and a half before getting shot by an insect and regenerating into John Simm. It was such a pity. Derek Jacobi was born to play the Master, and for just a moment or two, he did it brilliantly. His replacement was a gurning, dancing clown, manic and ridiculous and – it must be acknowledged – perfectly matched opposite Tennant, but not always an easy watch. Things didn’t improve when he returned with a hoodie, an inexplicable penchant for cannibalism and a secret plan for cloning himself, leading to what is affectionately known as the show’s Being John Malkovich moment. It would be years before we saw the version of the Simm Master that I’d always wanted to see – sneering, reserved and (for a change) respectably dressed, and even if that turns out to be his last appearance, his turn in ‘The Doctor Falls’ was a cracking way to go out. But enough of this, because we were here to discuss Jacobi – who, having turned in a memorable performance in ‘Utopia’, promptly toddled away back into the land of romantic comedy-dramas, bad sitcoms and the occasional CBeebies bedtime story. He tangoed in Halifax, helped build the Titanic and endured a love-hate relationship with Magneto. Recently we saw him lock horns with the Cornley Polytechnic Drama Society in A Christmas Carol Goes Wrong. 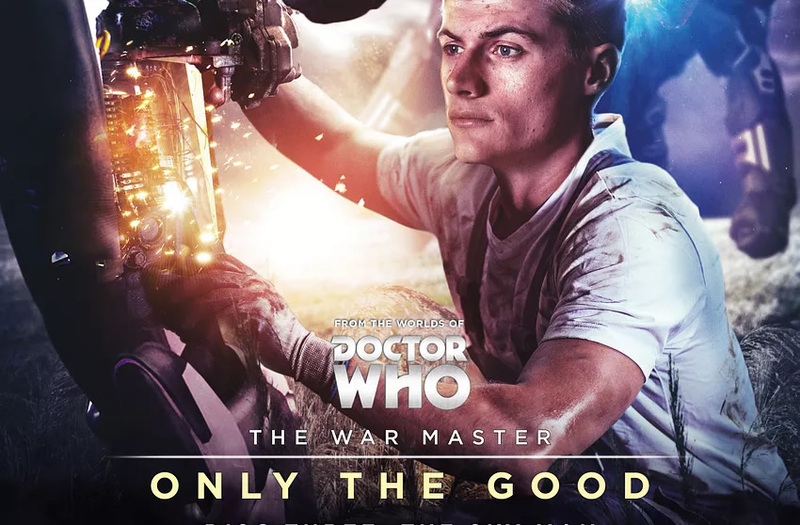 But of his Master, there was nothing – until last December, when he teamed up for a Big Finish audio series entitled Only The Good, in which we got to see the reincarnated renegade in action during the Time War, before he fled to the end of the universe. What to say about the War Master set? Well, it’s broadly good, although it opens with a largely inconsequential opening story with people I didn’t care about on a forgettable planet that’s being besieged by Daleks. Stories two and four are better, although in one of them the Master is at his most un-Masterlike (the title of this particular story is ‘The Good Master’, so it’s not exactly a spoiler) and it’s initially rather disconcerting to witness him behaving like the disguised human he would eventually become. Of the four, ‘Sky Man’ is far and away the best, despite – or perhaps because – it is a story in which the Master barely features, instead allowing his erstwhile companion Cole to take centre stage. Cole himself is worthy, if rather dull, but if the story’s conclusion is more or less mapped out in its opening conversation it’s still devastatingly effective when it happens. It also definitively answers one of the questions that the fans have been arguing about for years: namely, was it really Jacobi’s Master in the Time War? The naysayers point out that he states he was ‘a naked child found on the coast of the silver devastation’; similarly John Smith remembers growing up in Ireland with his parents Sydney and Verity, but that’s fabricated, fourth wall-breaking codswallop. This is a slightly younger, sprightlier version of the man we saw in ‘Utopia’ – a man saddled with the weight of twenty years of fruitless labour and a lifetime of false memories, plus the aforementioned insect. Bringing him back was a no-brainer. If you want a resurrected Time War Master, and Jacobi is a narrative fit, why the hell wouldn’t you sign him up if he was available and willing? It’s a pity we won’t get to see this incarnation meet up with John Hurt: that would have been a heck of a show (and yes, I know it kind of undermines the series 3 arc; don’t tell me they couldn’t have found a workaround for that). But three decent stories out of four seems to be par for the course for BF sets these days, and it’s fun to hear Jacobi casually toss aside supporting characters like sacrificial pawns, outwit the Daleks and occasionally struggle with his conscience – or at least appear to struggle. Unfortunately the story’s conclusion makes a second series rather difficult, for reasons I won’t give away (although you’ve likely figured them out already), and it seems a shame to essentially ditch this new incarnation of the Master just as we’re getting to know him. But here’s how you terrify your kids: you get them to sit through ‘Utopia’ just before bed, and then you put the In The Night Garden soundtrack on the bedroom CD player. 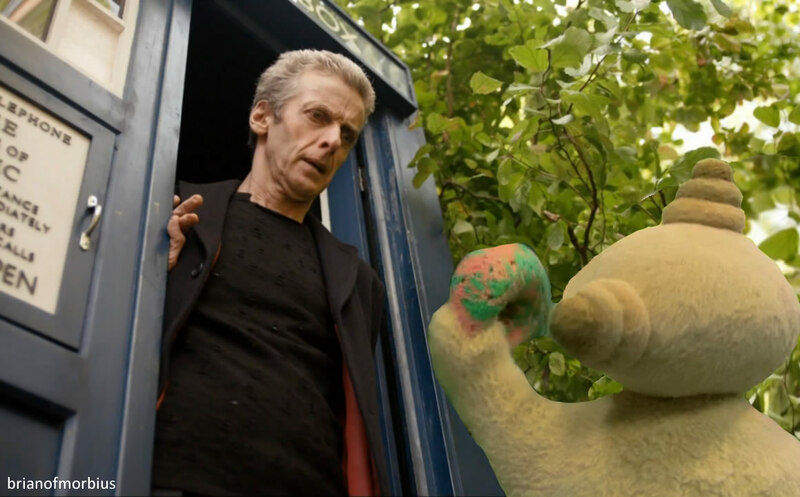 My views on In The Night Garden are well-documented, if by well-documented you mean eight hundred and fifty words defending the BBC and a couple of doctored photos. I love it because it works and because I do not understand why it works. If that sounds a little odd, it’s because these days it’s mostly anomalous – fan theory is endemic in just about everything, and it is a strange phenomenon, in this enlightened age, to enjoy something because you don’t get it. Twenty-first century media is all about the How and Why, and it’s killing the industry: the rare glimpses behind the scenes that we got in the 70s and 80s are now a regular fixture; outtakes and bloopers have spread like a rash on YouTube; we know everything about a story before we see even the first trailer. One can only hope that Chibnall’s reign – taking place, as it does, behind a security net to rival a Presidential visit, or even a Blade Runner location shoot – goes some way towards reinvigorating the show and bringing back the sense of wonder it once had, and he’s only going to manage that if he slows down on the goddamn press releases. But there I was, listening to the War Master set and thinking…wouldn’t it be wonderful to fuse some of the dialogue from this and dump it into a few of the Night Garden episodes? 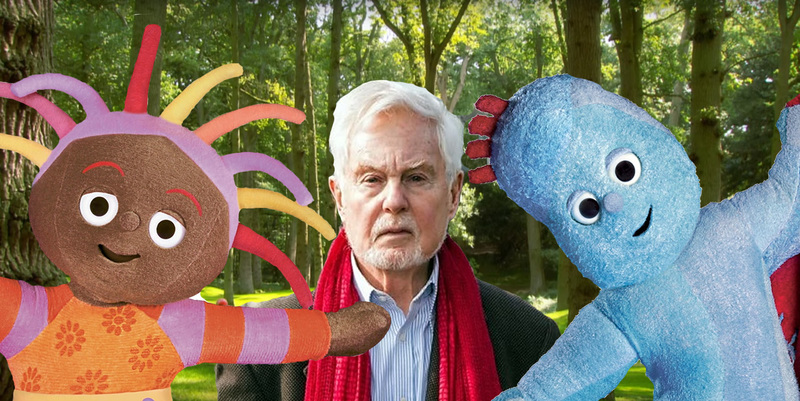 What if the lurid, excessively safe world of Igglepiggle and his friends were bombarded by a quite different and overtly sinister narrator who sounded exactly like the one whose unreconstructed tenor warbles through each of the show’s 100-odd episodes? What if we piled on the filters, added a bit of slow motion and ran the theme song through the editing suite? What could possibly go wrong? The results, I hope, speak for themselves – and if they’re a little freakish, that’s a good thing. This owes a lot to the black and white Teletubbies video that’s doing the rounds (you know, the one with Joy Division), although it’s less of a mood piece and more of a meditation; it even attempts to tell some sort of story. There are two bits of dialogue, by the way, lifted directly from ‘Utopia’ rather than the War Master set; bonus points to anyone who can work out what they are. And yes, the ending is a bit Blackadder. No apologies. Oh, and it’s in black and white because it looks cool. Isn’t that a pip?